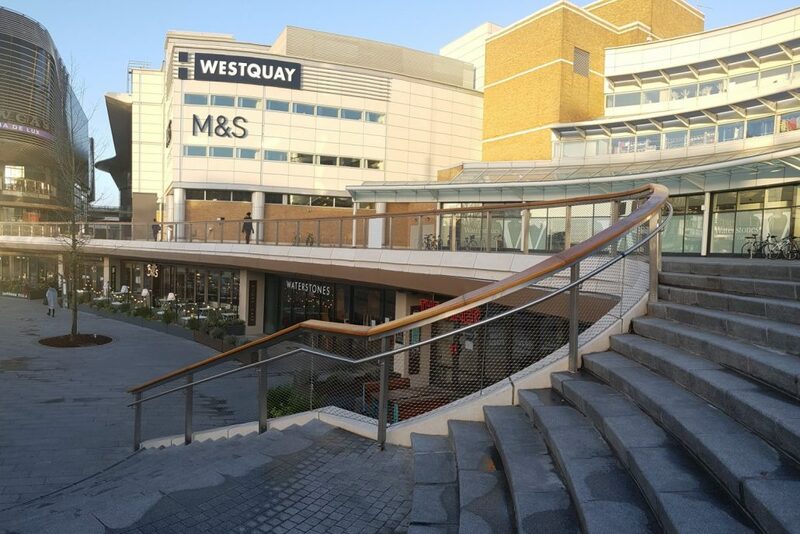 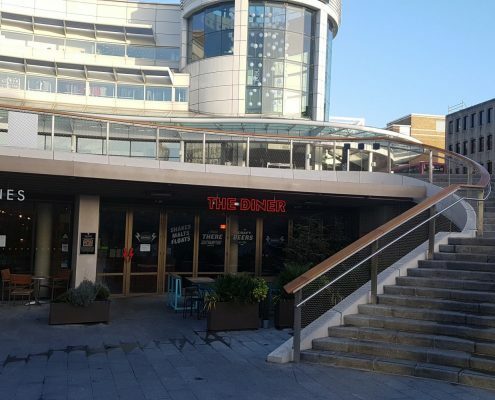 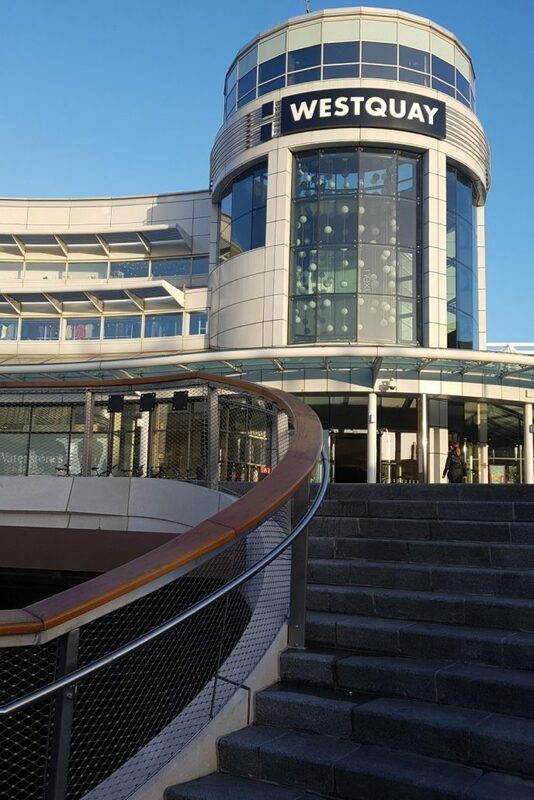 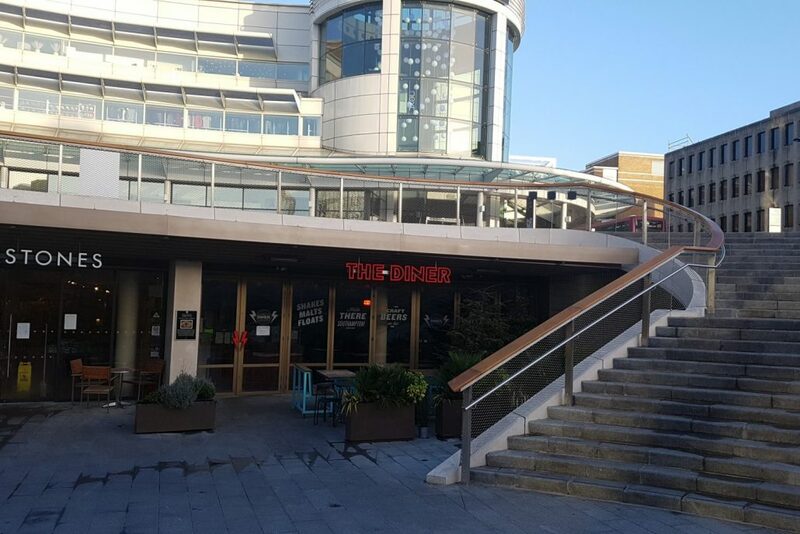 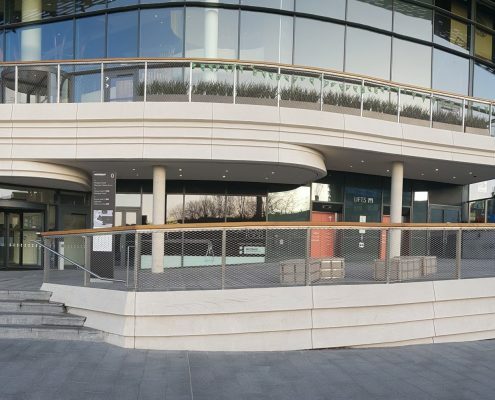 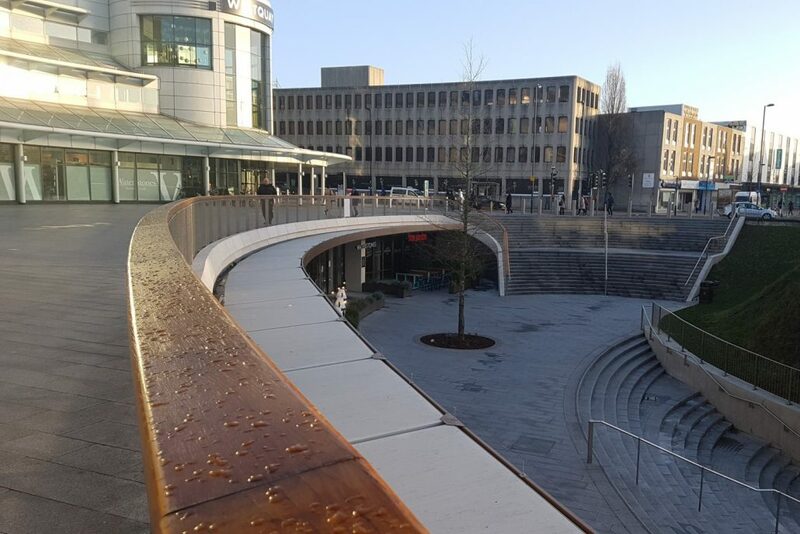 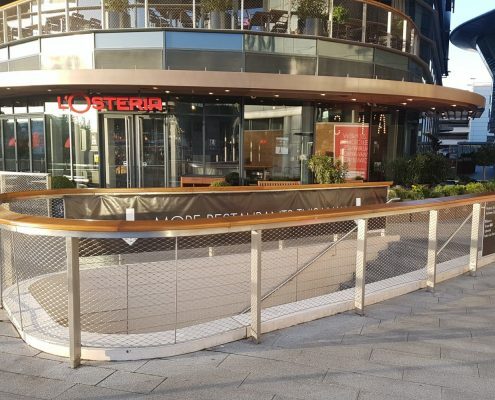 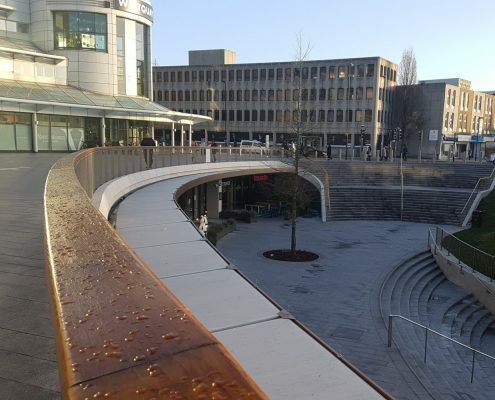 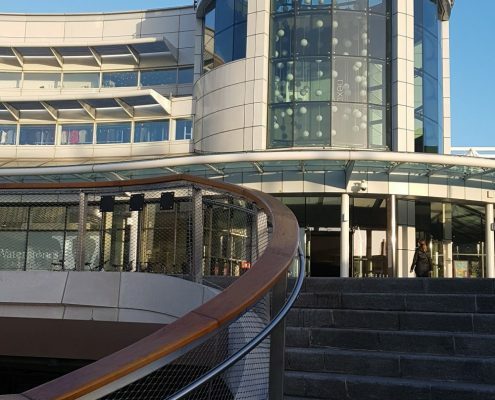 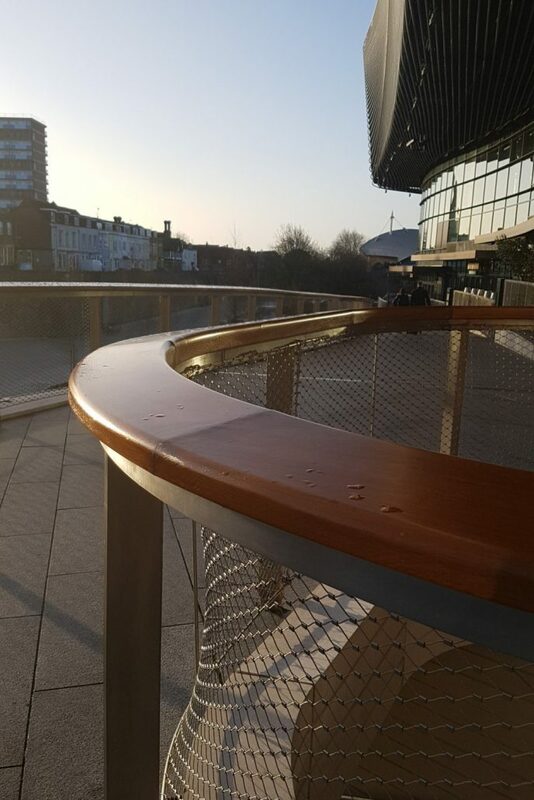 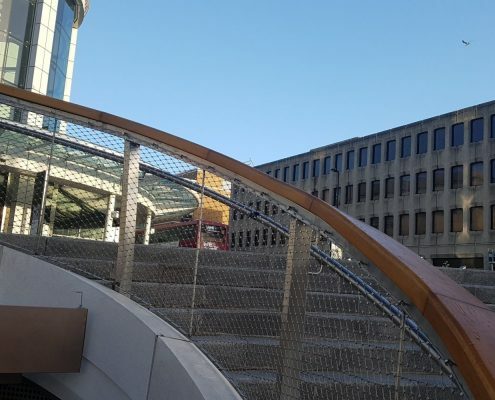 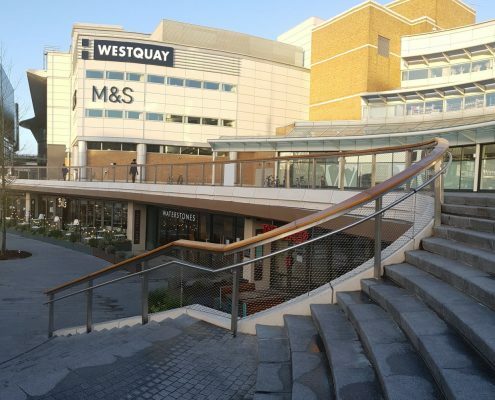 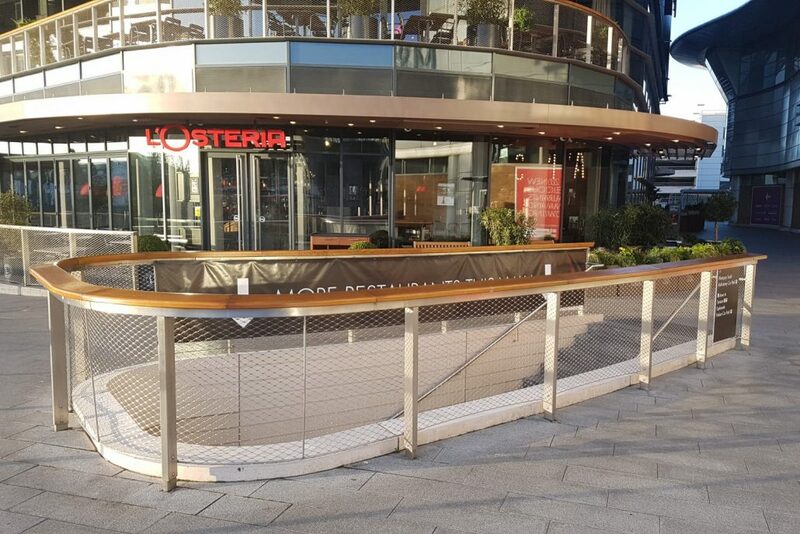 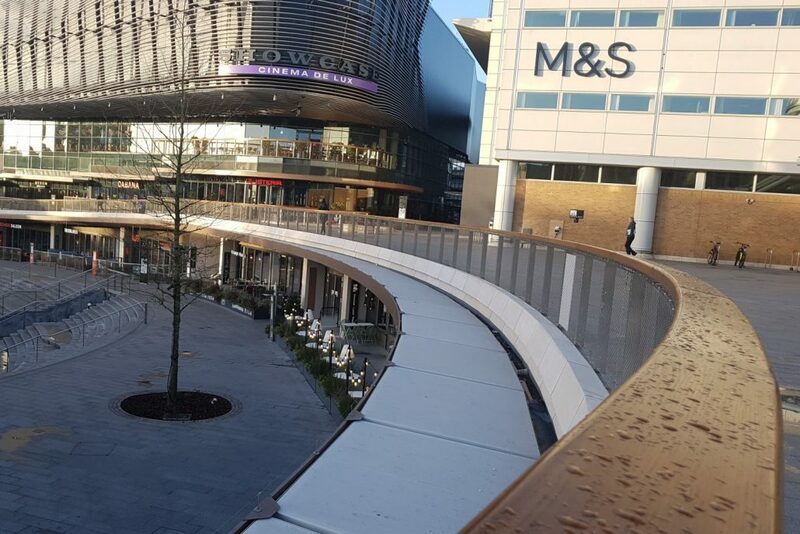 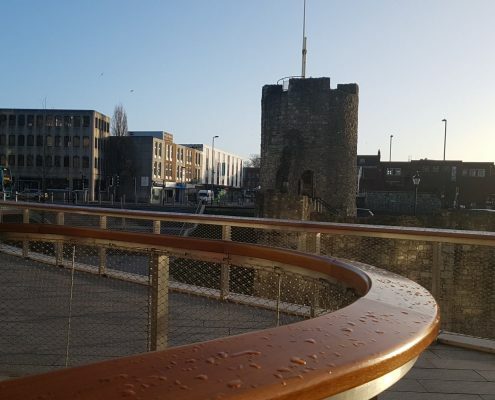 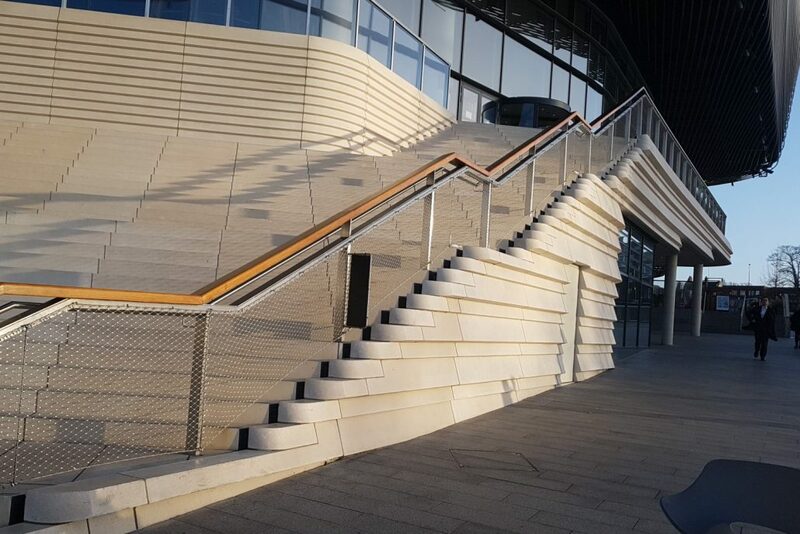 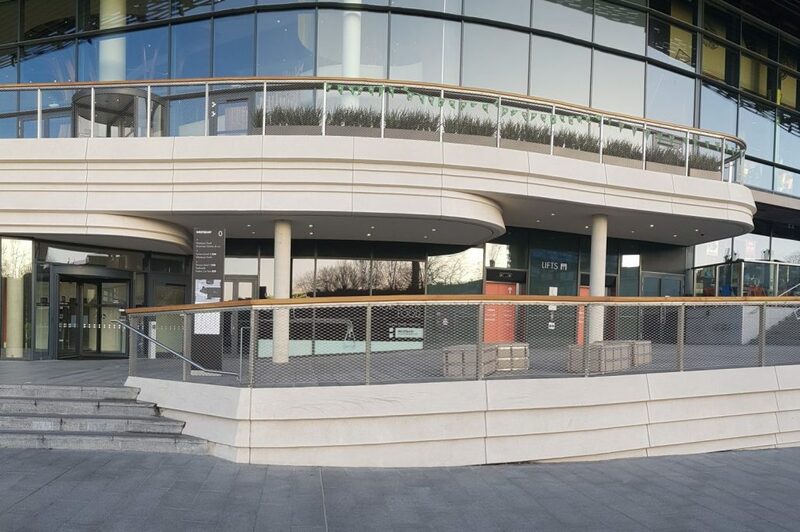 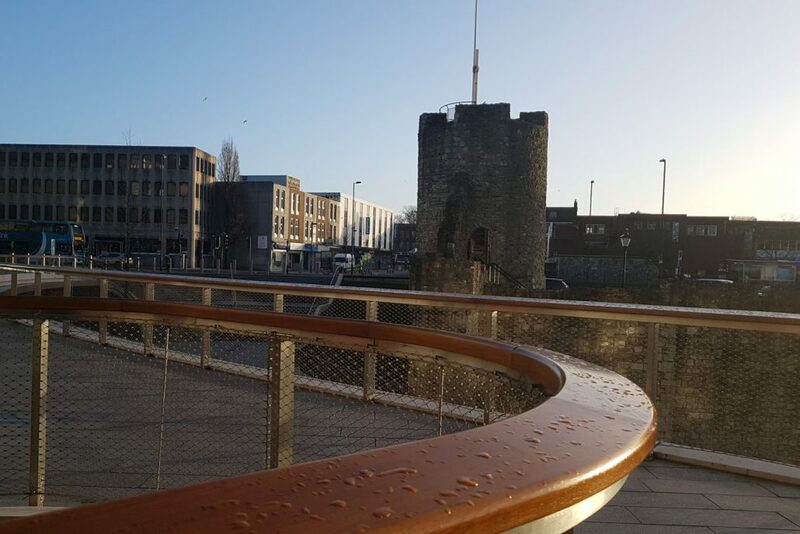 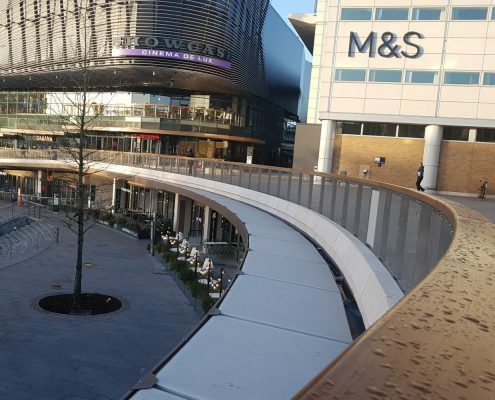 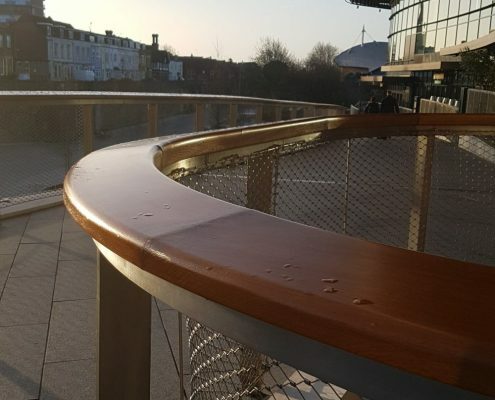 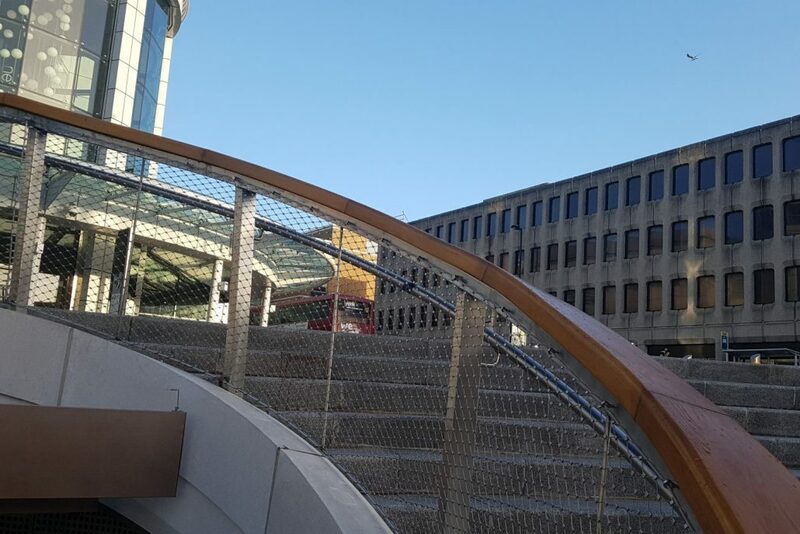 As the UK’s leading handrail manufacturing business, we were chosen to design and produce almost 400 metres of curved, helical and straight handrails for Southampton’s flagship shopping centre on a supply only basis. 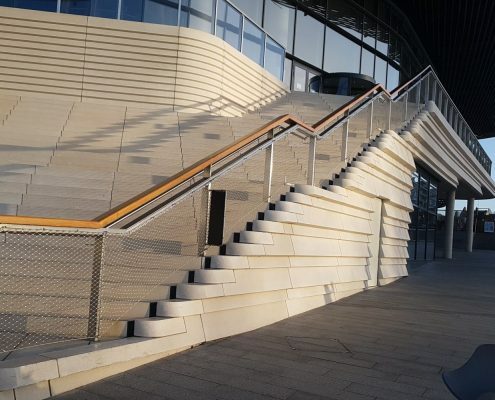 Despite the size of the project, we were able to turn around all parts in a matter of weeks. 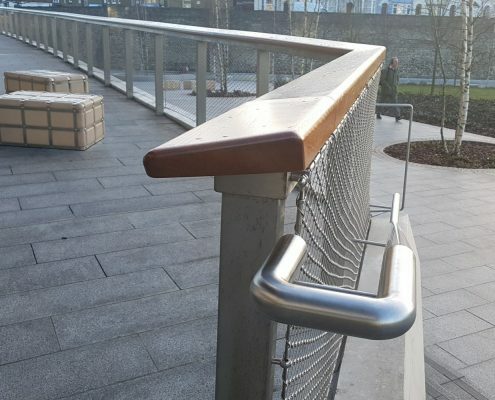 The ‘leaning’ rail was 200mm wide and 70mm tall, a considerable size, manufactured in our super prime grade European Oak which was imported from Croatia especially for this project. 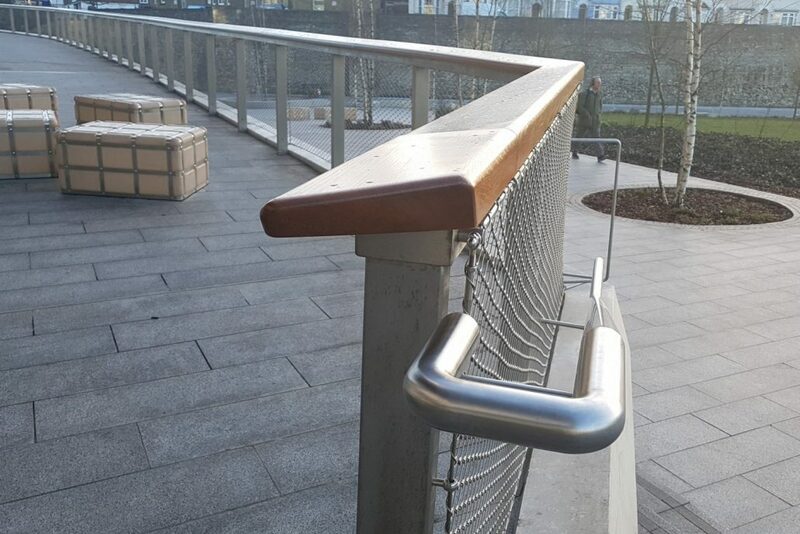 The rails were installed in a few days, thanks to our detailed instructional drawings and pre-assembled components with special heavy duty fixing bolts.